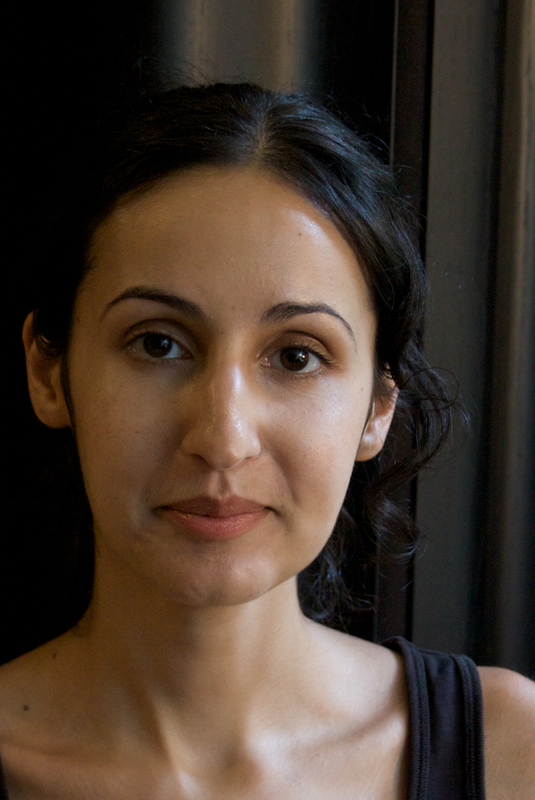 Mariam Ghani has been awarded a variety of fellowships, grants, and residencies. Her diverse works are sampled throughout the interview below. Mariam Ghani has been awarded the NYFA and Soros Fellowships; grants from the Graham Foundation, CEC ArtsLink, the Mid-Atlantic Arts Foundation, and the Experimental Television Center; and residencies at LMCC, Eyebeam Atelier, Smack Mellon, and the Akademie Schloss Solitude. Exhibitions and screenings include the Rotterdam, transmediale and CPH:DOX film festivals, dOCUMENTA (13) in Kabul and Kassel, MoMA in New York, the National Gallery in DC, the Liverpool Biennial, and the Sharjah Biennials 9 and 10. Public and participatory projects have been staged in Berlin, Amsterdam, Buffalo, Detroit, New York, and online. Critical texts have appeared in Alternet, Art Asia Pacific, Creative Time Reports, Filmmaker, FUSE, Mousse, Pavilion, Samar, Triple Canopy, Viralnet, the Radical History Review, the Sarai Reader, and the New York Review of Books blog. Ghani has collaborated with artist Chitra Ganesh since 2004 on Index of the Disappeared, an experimental archive of post-9/11 detentions, deportations, renditions, and redactions; with choreographer Erin Kelly since 2006 on the video series Performed Places; and with media archive collective since 2012 on the digitization and dissemination of the Afghan Films archive. She also recently co-curated the screening series “History of Histories: Afghan Films 1960-present” for the Guggenheim Museum and co-authored the book Afghanistan: A Lexicon with anthropologist Ashraf Ghani. She has a B.A. in Comparative Literature from NYU and an MFA from SVA, and is a Visiting Scholar at the Asian/Pacific/American Institute at NYU. Zohra Saed: What was your childhood like (growing up mixed race)? What were the challenges and the blessings? Mariam Ghani: Like many children, I wasn’t fully aware of my own identity as a child. At a certain point in my childhood, around my fifth birthday, my parents had decided to let my brother and me assimilate fully into American culture and had stopped speaking to us in Arabic, Dari, and Pashtu. So I didn’t think of myself as mixed race, or as of any race in particular; I didn’t grow up in an environment where that was challenged in any overt way, not until I was an adolescent and the first Gulf War began. At that point many things became clearer, including how I was different from most of the people around me. I also didn’t completely understand until much later, when I was in my twenties and started digging into the family stories, what had been going on with my father’s family during those years. My mother was quite open with us about what was going on in Lebanon but my father was always much more closed off about Afghanistan, and much of what was happening with the family. The fact that my grandfather and some great-uncles were in prison during the Khalq and Parcham years, for example, was not shared with me at the time. ZS: How did your identity and sense of where you fit change after 9/11? How did this influence your life and your art? MG: Before 9/11 I had always thought of myself as more Lebanese than Afghan and more American than either. But after 9/11 I was, like many other Afghan-Americans, thrust into a public performance of Afghan-ness, where I had to continually explain Afghanistan to all the people who were suddenly interested in it. I found this difficult because there was so much I didn’t know; so I made it into a performance, where I invited people to pose me questions (first in person, for a certain number of hours per week, and then online) and then researched the answers through both formal and informal (diasporic) channels. The public performance freed me from feeling the obligation to answer these questions in my private life, while the research process served as a kind of collaborative construction of a new, more Afghan persona. My life of course changed quite a lot as well because my parents (and temporarily also my brother) moved back to Afghanistan, and this was a significant convulsion in all of our lives. Having a home in Afghanistan has influenced my work profoundly in the long-term, as it has enabled me to study the post-conflict reconstructions of the country over a long period of time, and engage with Afghanistan’s present and past in several different ways. The post-9/11 politics in the U.S., meanwhile, inspired How Do You See the Disappeared? and the Warm Database, which led into my long-term collaboration with Chitra Ganesh on the experimental archive Index of the Disappeared, tracing renditions, redactions, detentions, and deportations. We’ve now been working together for nine years, in a remarkably fruitful and effective creative partnership. ZS: Can you tell me how your art has grown, changed, and transformed itself in these years of weaving an Afghan American life? MG: I have to say it feels a bit strange to reduce the evolution of my practice to the “weaving of an Afghan American life.” One thing I have always resisted in both my work and my career (the two things are not the same) is being slotted neatly into a niche that allows the work to be classified and marketed, because the next step is usually being told “but that’s not something you do” when you make work that doesn’t fit into the neat little slot. For example, work that has nothing to do with the “Afghan American” experience as it would be understood from the outside. I hope that over the last thirteen years of making art, my work has gotten bigger and deeper and more intricate, and at the same time, more and more transparent, and easier to understand. I also think that as I get older and make more work, it becomes clearer and clearer not only to me but to other people what connects all the apparently disparate investigations underlying my projects. ZS: How does being mixed (language, ethnicity, artistic genres, and cultural heritage) play into your work? MG: Well, I grew up in between everything—identities, cultures, languages, races—so it makes sense that I am still inhabiting a kind of border zone between disciplines or genres or positions, and am always attracted to places and moments that embody other kinds of border zones or ambiguous, indeterminate, transitory/transitioning spaces, from literal no-man’s-lands to artificially constructed natural landscapes to cities in the process of reinvention or reconstruction. ZS: The vintage Afghan films and newsreel clips that you collected for the Guggenheim were a rare treat for Afghans in the Diaspora. Can you please talk more about the Afghan film archive project and how you got involved in it? MG: In spring 2012, I worked with the media archive collective pad.ma to start a digitization project in the archive of Afghan Films, the national film institute of Afghanistan. Some of the Indian members of pad.ma and I had been talking about it for a while, and we used the dOCUMENTA (13) workshops in Kabul as an opportunity to convince the Ministry of Culture to let us work with Afghan Films. We digitized an initial batch of 90 films – documentary shorts, newsreels, and feature films – and collected metadata information and annotations from the Afghan Films staff and whatever original cast and crew we could track down. That’s all online now (only clips from the features) in pad.ma as a kind of proof of concept, and AF has used that project to raise funds for a large-scale re-printing and digitization of their entire archive, which includes 6500 reels. Meanwhile Leeza Ahmady and I organized screenings of films from the first batch of digitized films. The five-week series ran at the Guggenheim with two archive features, some shorts and also some contemporary shorts and features. This generated some funds for our ongoing translation and subtitling efforts. A one-day version of the series will tour a few different venues this year and, we hope, provide some seed funding for localization of the pad.ma archive software into Afghan languages. For me, the project is important because the archive contains so many lost histories–histories that we very occasionally discuss, but almost never see, like the everyday life of the Zahir and Daoud periods, and life in the cities under the Khalq and Parcham regimes, where the civil war was more distant but repression was a constant undercurrent. Because Afghan Films is a state institution, its archive tells us how the state saw itself, how it wanted its citizens to see it, and how that changed as the state was reformulated again and again. I traced this phenomenon through the specific thread of a series of films of jeshn celebrations in a recent text for the New York Review of Books blog, and will be researching it through footage from unfinished films from 1977, 1978-79, and 1986-92 over the coming year. ZS: Is there anything else that you would like to tell us about your work and projects? MG: One project I’m thinking about for the next few years is actually using archive footage from four unfinished features from the Khalq period (all canceled by the Parchamis after the Soviet invasion) to construct, or reconstruct, a new feature-length film. A Brief History of Collapses (excerpt) from Vimeo. This entry was posted in Interviews, Mixed Race Initiative. Bookmark the permalink.